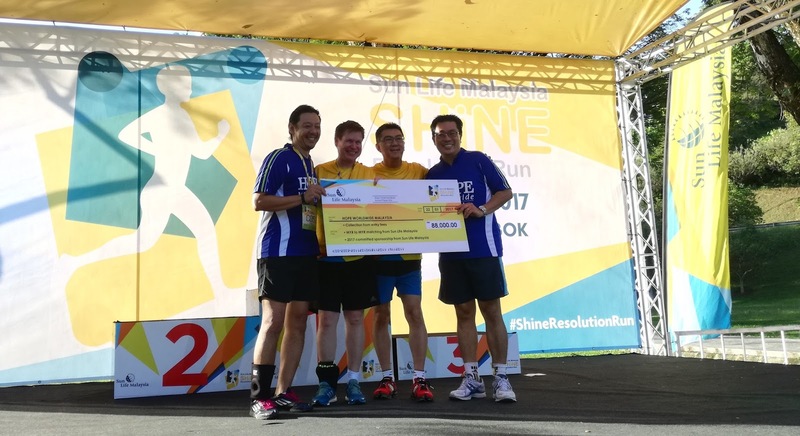 Thanks to Sun Life Malaysia for raising a total of RM 257,000.00 to both Diabetes Malaysia and HOPE worldwide Malaysia for the implementation of the community programs that benefit the poor and needy community in Malaysia. 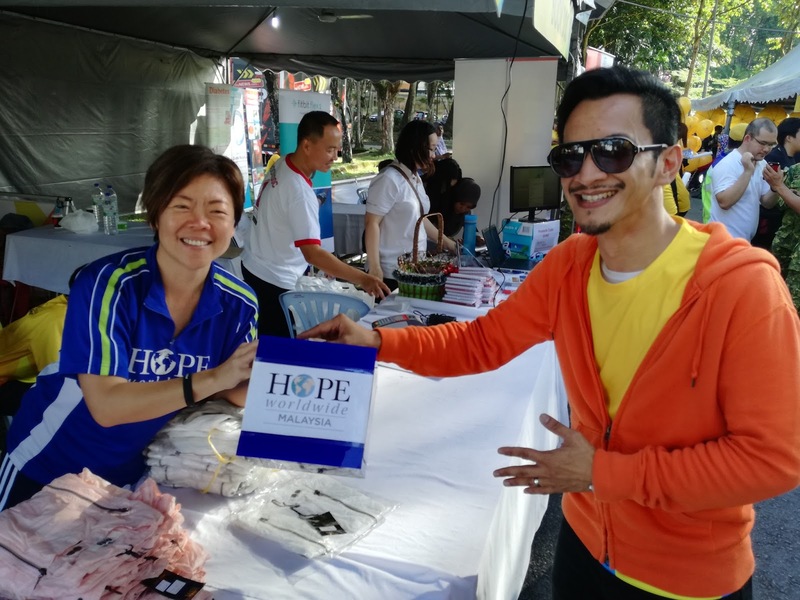 Part of HOPE worldwide Malaysia's focus is creating awareness and providing Free medication & treatment to Diabetic patients from low income families through the Sentul Free Clinic of HOPE which is established in year 2000. Last Sunday was indeed a great day as we see a crowd of more than 2,000 participants gathered together for the SHiNE Resolution Run! As quoting from the speech delivered by Mr. Kevin Strain, President of Sun Life Financial Asia, the SHiNE Resolution Run achieve two important life goals - Health and Financial Planning. It is definitely not easy to keep up to our resolution of being healthy by engaging in regular exercises like running. But as we keep it consistent, just like planning to save for your financial security, bit by bit, you shall able to see the result in a long term process. Not only that, one more goal that this event have achieved is raising a total of RM 257,000.00 to two non-profit organizations. We would like to congratulate Sun Life Malaysia for the great success of this Event! 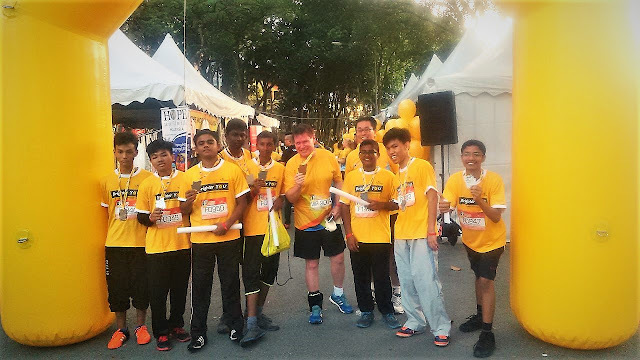 HOPE worldwide Malaysia was very honored to be a part of this event, as 8 of our youths who were also the youths from Sun Life Malaysia Brighter YOU Basketball Clinic participated in the 5KM Fun Run! We also set up our booth there to greet all the fellow runners there! Among the runners, we managed to meet the Sun Life Malaysia's Brighter YOU Volunteers who used to volunteer in our community programs! Another excitement was to meet celebrity VJ - Nazrudin Rahman, who was also the Host for the event. Our gratitude also goes to Mr. Ooi Say Teng, CEO & Country Head of Sun Life Malaysia for your continuous support towards our organization. 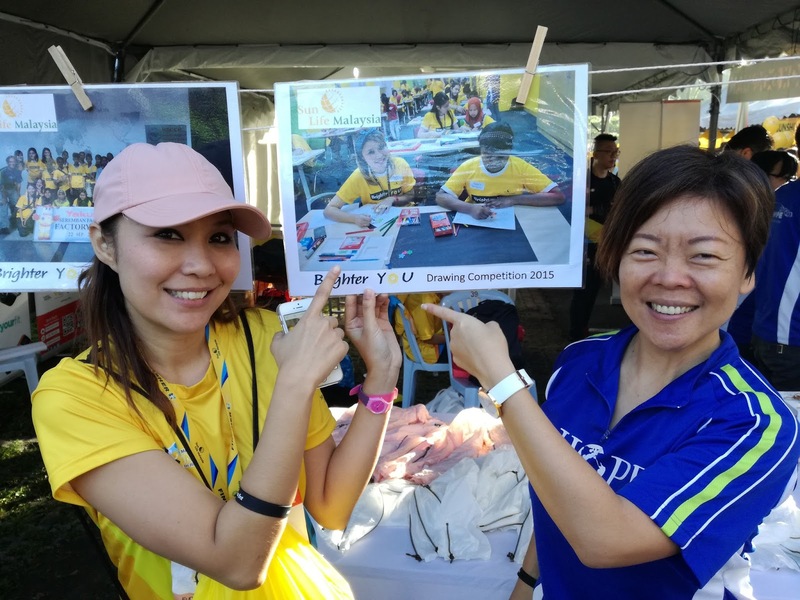 And as well to Ms. Tricia and the dedicated team of staff who has been with us throughout all these years in organizing every event in the Brighter YOU CSR Campaign and the awesome SHiNE Resolution Run! We look forward for more great collaborations in the future and create greater social impact together for the underprivileged community in Malaysia.